"Best i've seen! keep up the amazing work ありがとございます"
- Better handling of special numbers and all new audio. 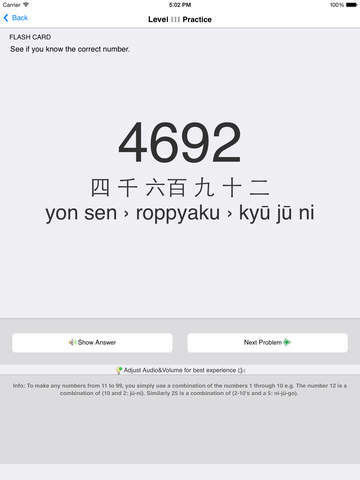 • Learn Japanese Numbers: Is a great tool, on the go reference and study guide for learning Japanese numbers. 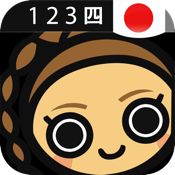 Japanese Numbers Guide provides full Japanese audio pronunciation and a mini game to help you improve your Japanese number skills quickly. Go out shopping and buy things with ease on your next visit to Japan! "It works! In about half an hour I had learnt to recognise basic numbers and how to say them up into the thousands. Very impressive and a good learning progression using different response modes. Highly recommended." "With this app the Japanese system is really simple. Took me about 10 minutes to understand it. thanks!" "Simply amazing! 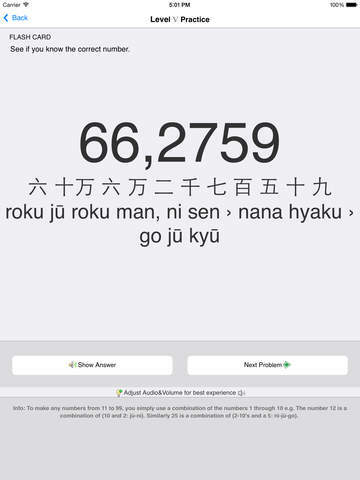 Really useful to learn japanese numbers, helped me a lot!" "Easy breezy Nice and straight forward. Was relatively simple to learn. Thanks!" "Great It helped me learn my numbers fairly quickly"
"Nice easy way to learn the basics very quickly." "Great Helps me to practise numbers reading"
"Great app Does what it says it does. 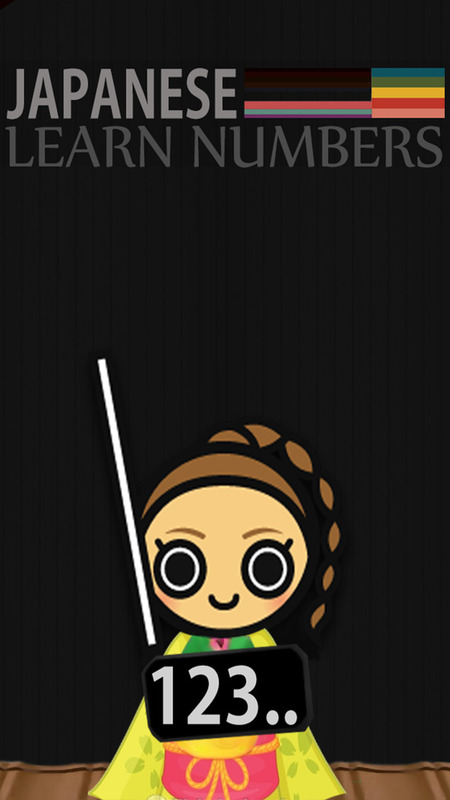 I like it." "It's very useful and I love it. Never deleting." Your Essential Pocket Guide to Japanese Numbers, Numerals and Counting: Travel, shop with ease and have fun on your next Adventures! plus much more to come. With iOS-8 you can now share this app with other family members at no additional cost. We openly embrace new features as family sharing and the latest devices to ensure you get the most out of our apps. We don't like device specific versions and neither should you. A single download lets you install the app on all your iPhones, iPads and iPod touches with no additional purchases required.